Energy Now has a rating of 5.0 stars based on 8 reviews. How often do you struggle to find the motivation to go to the gym? When it comes to activity of any kind, are there days when you just can’t bring yourself to follow through? Or are you simply having a hard time focusing on any task throughout the day? If you’re serious about getting results, you know you have to prime your mind and body for performance. With the right nutrients, you can fuel your body and mind to train harder, longer and recover faster. Energy Now is a pre-workout formula designed to ignite physical activity, sharpen your mind and maximize your results. Containing proven ingredients, Energy Now will help boost your energy, focus and strength all vital elements of staying sharp and keeping your body at its peak. Most energy formulas contain as much caffeine as five cups of coffee. This gives you jitters, increased stress and a quick energy crash. Energy Now uses green coffee in combination with L-theanine which boosts your mental alertness without any hard crash. Are you ready to give your mind a needed boost? Give your body necessary fuel to thrive each day? Experience energy that takes you from morning to night without feeling sluggish? Try Energy Now and take your results to the next level. "The energy is just amazing to me. As a performer, to see him (Tony) sustain this all day long is incredible." Shield yourself from unwanted illnesses that would slow you down. Information, statements, and reviews regarding products have not been evaluated by the Food and Drug Administration. Results vary person to person, and there is no guarantee of specific results. Robbins Research International assumes no liability for inaccuracies or misstatements about products. No jitters or hard crashes. Sweetened with natural stevia leaf extract. Energy Now helps you create and sustain high levels of energy and mental focus to maximize your workout or your work day. One of the most researched brain nutrients which has been shown to quickly enhance mental focus and energy. The acetyl group allows it to cross the blood brain barrier allowing this nutrient to support the brain, memory, focus as well as increase the neurotransmitter dopamine which enhances focus and motivation. N-Acetyl-L-Tyrosine is the acetylated derivative of L-tyrosine. Acetylation helps to increase the bioavailability and efficiency of this nutrient. Tyrosine is the precursor amino acid from which the body makes thyroid hormone and dopamine. It is essential for numerous functions such as cognitive performance, improving stamina and preventing excessive rises in cortisol levels. Orally delivered ATP (as peak ATP) may help reduce muscle fatigue, increase strength and power, support recovery and enable a higher output during high intensity bouts of exercise. The combination of L-theanine and caffeine (from green coffee©) in a 2:1 ratio stimulates and boosts mental alertness. Together they provide a lean and calm focus without any jitters or hard crashes that are often seen after consuming products containing caffeine. Is it gluten-free and dairy-free? Yes. We verify all raw material ingredients do not contain gluten based on the supplier’s allergen statements. In addition, we test our products for gluten. Is it manufactured in a regulated facility? Yes, all of our health line products are manufactured in a cGMP and NSF certified facility. Does it contain artificial sweeteners, colors or flavors? No artificial sweeteners, colors or flavors are used. However, if a product is sweetened, it contains stevia – a natural sweetener. Ship every 30 Days ? Subscribe to our Auto Replenishment and we will refill your supplements automatically in your selected timeframe. Simply choose the replenishment schedule that works for you. Cancel or pause your service at any time. With Living Health, you can learn how to massively improve the quality of your vitality. 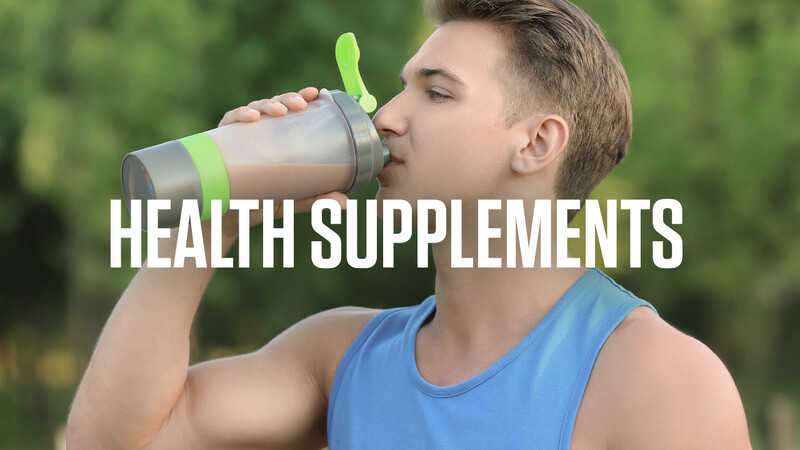 Chemicals known to the State of California to cause cancer, or birth defects or other reproductive harm, are present in dietary supplements, including these products. Proposition 65, a California law, requires businesses with 10 or more employees to provide consumers with a clear and reasonable warning prior to knowingly and intentionally exposing them to listed chemicals. California has listed over 800 chemicals under Proposition 65. While exposure to some listed chemicals occur in workplaces, other exposures occur during everyday activities, such as eating certain foods, driving, or using personal care products. A variety of factors can affect your personal risk of cancer or other reproductive harm. Women who are pregnant, trying to become pregnant, nursing mothers, people with small children, and others seeking more information about food products can obtain more information at the U.S. Food and Drug Administration website at http://www.foodsafety.gov. You can obtain more information about Proposition 65 at http://www.oehha.ca.gov/prop65.html. You should also consult your healthcare provider if you have additional questions.